Argentina scrapped most of its currency controls and will allow the peso to start trading freely Thursday. 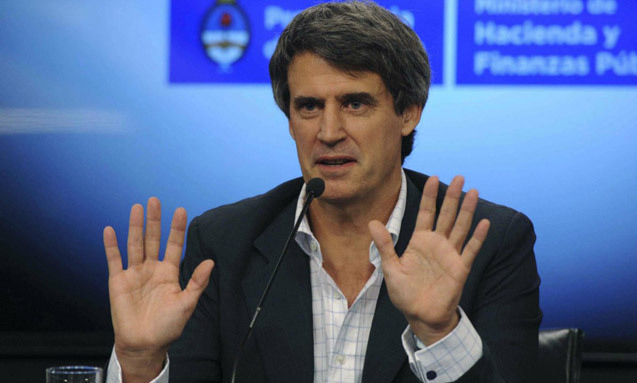 Finance Minister Alfonso Prat-Gay indicated he anticipates the peso could plunge by about 30 percent –which is the gap between the official exchange rate and a parallel rate known as the blue-chip swap– when markets open on Thursday in Buenos Aires. The move follows promises by President Mauricio Macri to implement reforms in order to increase exports and spur economic growth. 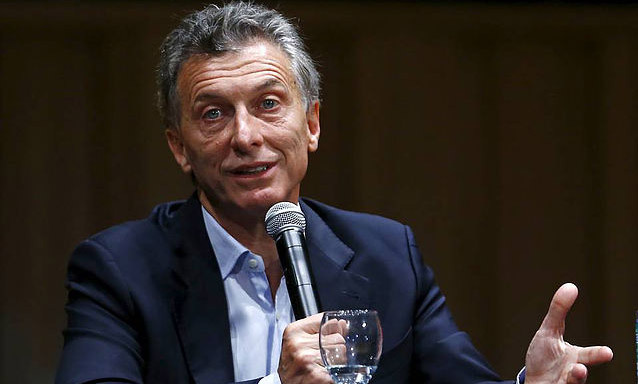 By lifting controls, Macri also hopes to spark a wave of investment in an economy that is battling low foreign reserves and double-digit inflation. 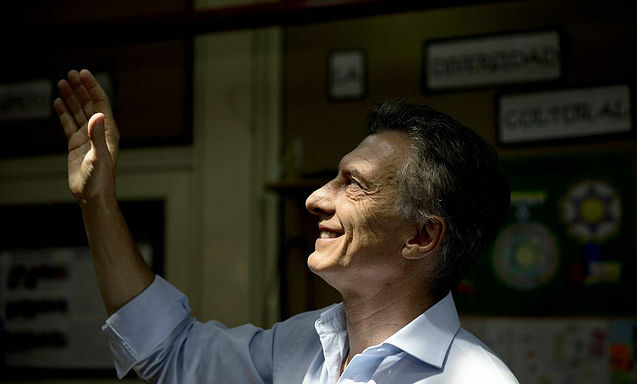 Mauricio Macri won the historic ballotage and is the first head of state from 1916 which belongs neither to the Peronist nor to the Radical Party. Mr Macri is expected to reverse the national policies of Ms Fernández and her husband Néstor Kirchner (who preceded her as president and died in 2010). The new president will also improve relations with foreign creditors and with the United States. After receiving a ceremonial scepter and sash at the Casa Rosada, the country’s presidential palace, Mr. Macri joined his wife, Juliana Awada, 41, in waving to supporters from a balcony. Reprising a frequent feature of his campaign, Mr. Macri danced a solo performance before meeting with foreign dignitaries. Mr. Macri has vowed to cut inflation to a single digit within two years, though advisers are trying to find way to do so without weakening the economy. MAURICIO MACRI won Argentina’s second-round runoff election on November 22nd to become the country’s next president. The mayor of the city of Buenos Aires, who ran under the banner of Cambiemos (“Let’s Change”)—a coalition of mostly centrist non-Peronist parties—took 51.4% of the vote. He narrowly defeated Daniel Scioli, the governor of Buenos Aires province, who campaigned as the heir of the outgoing Peronist president, Cristina Fernández de Kirchner.